Talking about CTAs (calls to action) we usually mean buttons for ordering a product or service on websites or in newsletters. Yet banners, selling articles, subscription forms, and other website elements also can work as CTAs. The main point is that they must call customers to complete a target action (subscribe to a newsletter, view a product card, or make a purchase in the online store). A properly formulated CTA is a must-have element of an online store. This is the finishing stage of conversion. Every day, browsing the Internet, we come across dozens or even hundreds of calls to action. However, we notice only a few of them. The reason for such an effect is how our brain works. First of all, we concentrate on visually attractive elements. Keep reading to learn how to create CTAs that would bring the maximum benefit to your business. Where to place a CTA? A CTA button consists of a title on a colorful background. You can change the text, size, and color of the button or add shadows to make it more noticeable. This is the most popular form of a CTA since buttons can be placed anywhere on a website and customized to look matching and relevant. An average click-through rate for CTA equals to 3,29%. If you make your CTAs credible and interesting to users, the clickability will be even higher. But first of all, let’s clarify what types of CTAs exist and where to place them. This page should succinctly show the key benefits of every product. For example, discounts, special offers, an interest-free loan, etc. A CTA element is the Buy button near every product. On this page, it’s important to add product description, technical specifications, reviews, and information on availability. Make sure the information is really useful for potential buyers. If the product is discounted, add a countdown timer to indicate when the special offer ends. On such pages, the Add to Cart button works as a CTA. Note that it must stand out on the overall background and be noticeable. It’s a vital element to attract new customers. Offer your website visitors a discount on their first purchase asking them to provide certain data instead. You need to convey to visitors that they will benefit from completing the form and using the offer. Otherwise, the conversion rate will be extremely low. The average bounce rate for blogs and information websites is 50%. This means that the half of visitors that have landed on the article will close the website without going to the rest of pages. Add a subscription form at the end of the article. Offer user to read other similar articles. The majority of forms end with calls to action. Whether users provide information about the delivery and payment methods, subscribe to the website, or leave feedback, at the end of each of these forms, they click a CTA button to confirm the provided information. It’s important to place the button right under the fields to be filled in. Otherwise, the user may miss it and leave the site at the important stage of the sales funnel. Trigger words like gift, free, and get increase the conversion of a CTA. Explain to your customers what will happen when they react to the CTA. If possible, instead of the trite “Send” use a more clear button title. For example, Get a trial version, Subscribe to a newsletter, or Check the price. Be original. Almost every online store uses the “Order”, “Buy”, and “Learn more” buttons. If this is appropriate for your sphere, create more unusual calls to action, like I want, Add to my cart, Reserve. Get a free checklist on how to create email newsletters. Only 2 days left! Hurry to get a free checklist on how to create email newsletters. There are really high chances that the second CTA will be more effective since the visitors will understand that in 2 days they won’t be able to use it. In the first case, they realize that they can get the checklist anytime they need it. Never deceive users when you create a time-limited offer. If you use a CTA of the second type or place a countdown timer, terminate the offer when the specified period ends. The excessive use of text often leads to conversion decrease. Users don’t want to waste time reading and leave the website even though the offer might be interesting to them. Writing the text for CTA buttons don’t use more than 5 words. At the same time, take into account that if the button is small, it must include only 1-2 words. It worth noting that there are exceptions. Sometimes CTA buttons have 6-7 words. Nevertheless, this is only relevant to large buttons that are usually used on landings. In most cases, buttons are much more effective than links. At least because they are visually more appealing. But sometimes links generate better results (first of all, in blog articles and email newsletters). Don’t rush and test different design options of your CTA to choose the most effective one. All of us read information on web pages based on the same pattern: from the top left corner to the bottom right. Opening a new page of a website, we first want to check the general information, so the top left corner is a bad place to add a CTA. If the page doesn’t contain a lot of content, then the center is a good place to add the call to action. In case there is a lot of information, place the CTA on the right side. 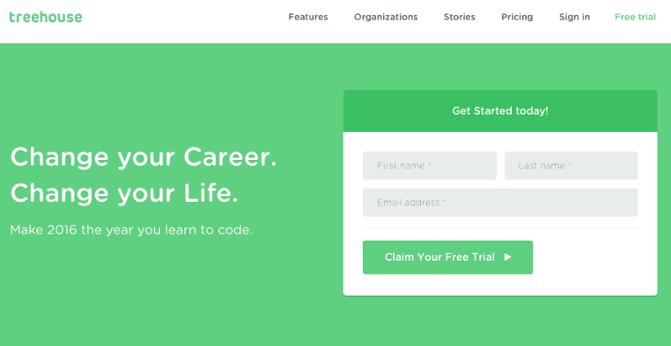 Contrast colors make your CTA more appealing and easy-to-notice. 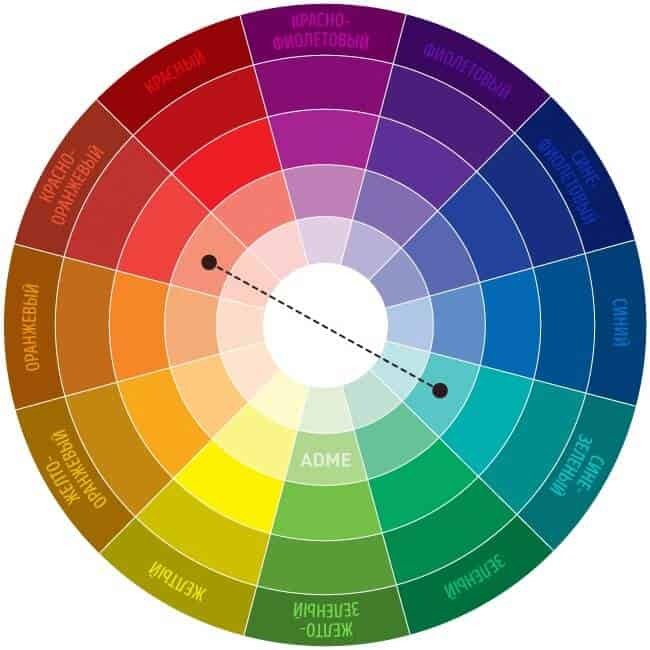 To pick the right combinations, select the opposite colors from the color wheel like this one. If you need to place two or three different buttons on a page at once, don’t locate buttons of the same color near each other. Choose the one that is more important and make it bright. Dim the color of other buttons. How to analyze the effectiveness of a CTA? Every website is unique in its own way, so it’s impossible to guarantee that adhering to all rules of CTA creation you will definitely get a high conversion rate. You should continuously monitor the effectiveness of a CTA. Google Analytics. This is the most popular service for web analytics. Set clicks on CTA buttons as your goals to learn how effective your CTAs are. Plerdy. A dedicated service for click analysis. It allows you to see all user clicks on the website elements (including pop-ups) made during the reporting period. Also, the Plerdy service compiles click reports which can help you to see problematic elements are correct them. How to improve a CTA? The most simple and effective way to improve CTAs is A/B testing. The idea is to make changes to the CTA and divide your traffic into two flows: the first half is directed to the old version and the second half – to the new one. After that, you compare both options to find out which gives better results and leave it. An important rule of A/B testing is that you only can test one change in an element at a time. For example, during the first test, you change the color of the button, during the second test – text, the third – form, and so on. Calls to action are vital to improve website efficiency. They turn visitors into subscribers, and subscribers – into customers. 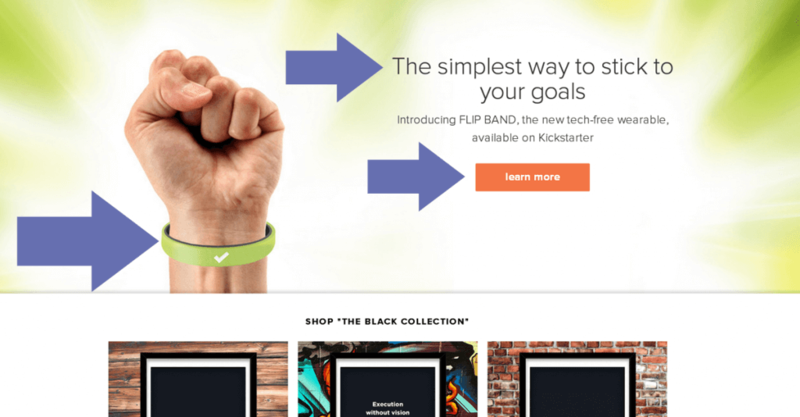 Calls to action should match the context of the page and be understandable to users. Each CTA must show what benefits customers get. Contrast buttons attract more attention. If there are several CTAs on the page, highlight the main one. Complete A/B tests to continuously improve the effectiveness of CTAs. Use analytics tools to identify the optimum options of CTAs. Adhere to the principles above to make the CTAs on your website more effective. At the same time, don’t forget that despite being important, CTAs aren’t the only element that influences the conversion rate.